We know more about more people than we ever have before but this is seldom a result of the asking of a specific question to a particular person amidst a distinct situation. Yes, people share. And overshare. Advertise. And celebrate. But do we really understand? Caregivers, when was the last time someone asked you a question? A genuine question. The kind of question that is asked of you, for you, and about your situation. Not an assertion or accusation but a question. Not a camouflaged statement that allows the questioner to tell you more about him or herself. No, a real, genuine, question that allows you to explain, contextualize, and share so others can help better understand you, and your situation—not what they think of your situation—but your situation as it is being lived and experienced in your own words. When it comes to health, most people don’t like to ask questions. Health makes people squeamish. Answers can’t be predicted. Health is private, we tell ourselves—we shouldn’t pry. It’s none of our business. If they want to tell us they will, we convince ourselves. Anyway, if we did ask, we might make someone uncomfortable. We might make ourselves uncomfortable. “I will be your doctor, and so I must learn a great deal about your body and your health and your life. Please tell me what you think I should know about your situation” (Narrative Medicine as Witness for the Self-Telling Body, 2009, p. 122). Beautiful, isn’t it. Revolutionary too. The last line, “Please tell me what you think I should know about your situation” distinguishes her, and her invitational style, from so many others. She allows her patients to draw their own lines—to mark what’s (un)important—beginnings, endings, significant concerns, fears, worries, what an illness means, how it affects their lives, expectations, and future—in their words. Not hers. Their story, narrated in the language of their everyday voices, comes alive not because of a perfect question, but because the question is the permission for their story. Caregivers, if there was one question you wish you were asked about your caregiving situation, what would it be? What would you like others to know about your challenges? What would you like others to know of how you are making sense of caring for someone you deeply love while also trying to navigate your own concerns, hopes, and anxieties? Questions are magic—not the questions themselves—but what they make possible. Questions allow us to see how others see their world(s). What makes sense to them. What doesn’t. There is no perfect question. There are merely questions that allow us to grow toward one another that go beyond clichés and the weather and a listing of accomplishments. Open-ended questions are the ultimate act of care—they simultaneously demonstrate the questioner’s care for another while also allowing a shared reality to be created between two people that defies mere information or answers. If you want to make a radical statement of care that doesn’t require any training or cost any money or require an appointment—ask a question and allow another to bring you into their world. Please tell me what you think I should know about your situation. Beautiful post! I am so interested in this topic and my thinking has been informed by Arthur Kleinman. 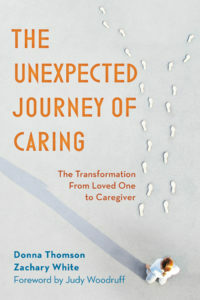 His “The Illness Narratives” and his transformational Eight Questions to me, have so much potential to change the conversation with caregivers https://dash.harvard.edu/bitstream/handle/1/10612560/Kleinmen_Illness.pdf?sequence=3. Kleinman himself cared for his wife who suffered from Alzheimer’s.